The French have always excelled at making small cars, and having produced the legendary 205, Peugeot was no different. However, though its successor the 206 looked good, it lacked its predecessor’s substance and failed to capture buyer’s imaginations - a balance the firm hoped to redress with its 207. The French have always excelled at making small cars, and having produced the legendary 205, Peugeot was no different. However, though its successor the 206 looked good, it lacked its predecessor’s substance and failed to capture buyer’s imaginations - a balance the firm hoped to redress with its 207. The supermini has only recently been replaced by the pretty 208 and became one of Peugeot’s most popular models, proving that the firm’s still got it. Choice is key to the 207’s appeal, and something that it does better than almost any rival. As you’d expect there were three- and five-door hatchbacks available, and Peugeot even offered a practical estate (called SW) as well. But its predecessor (the 206) hosted the debut of the affordable folding hard top, and so the 207 continued the trend with the 207cc. 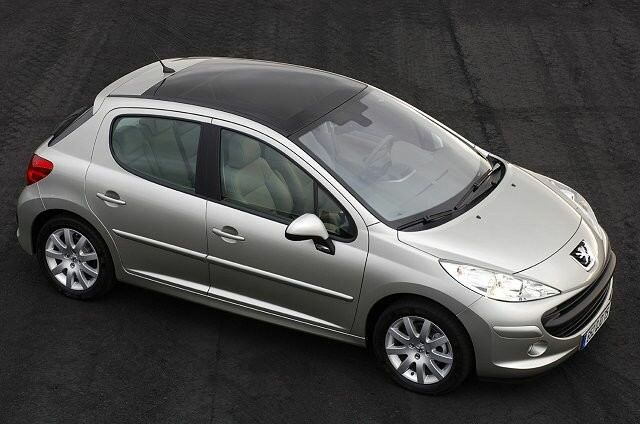 The French are equally famous for their diesel engines, and again the 207 doesn’t disappoint. Buyers could choose from a 1.4- or 1.6-litre HDi engine, the former with 72hp and the latter with either 92- or 112hp. All were smooth, frugal and suited the little 207 well. Meanwhile the petrol choice was a little more bewildering, also consisting of either 1.4- or 1.6-litre units, but with various outputs ranging from the eight-valve 1.4’s 75hp to the turbocharged 1.6-litre with 175hp. The 207 was offered with an automatic gearbox, but few were bought so equipped and it's hard to find one on the used market - you’re better off sticking with the manual anyway. It’s even harder to make sense of the trim levels, as another trait the French are famous for is special editions - so you’ll see the odd 207 Envy and Biarritz crop up in the used classifieds. Otherwise you’ll find Access, Verve and Active in earlier cars and S, SX, SE, ST, Sport and of course GT and GTi in later models. Though there’s a wider range of petrol engines to choose from it’s the diesels that appeal the most - especially the mid-range 1.6 HDi with 90hp. That’s enough to endow the 207 with a decent turn of speed - and more importantly low emissions and high economy. We’d steer clear of the CC and SW though and stick with the five door hatchback, which, unless you have a growing family, will likely prove to be practical enough - there’s also plenty for sale on the used market so finding one should be easier. Assume that the 207 will be a true successor to the loveable 205 and you’ll be disappointed, but expect it to be a good looking supermini with distinctive styling with a huge choice of engine, trim and body styles and you can’t fail to fall in love. Sure some of its rivals are more fun to drive, and the hatchback’s boot is a little small, but pick the right one and the 207 will be a complete companion.